NEW: Snowboard Kashmir Rickshaw Ts - out now! 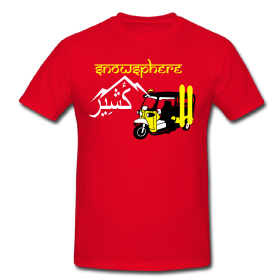 Check out the latest offering from the SnowSphere Shop - the new Kashmir Rickshaw/Tuk-Tuk t-shirts - inspired by the SnowSphere team's snowboarding adventure in Gulmarg, Kashmir. 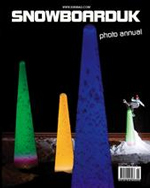 Visit the SnowSphere Shop now to see the full colour range and buy one! 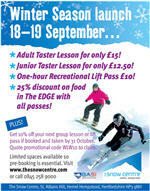 STOP PRESS: 15% off now! Happy New Year SnowSphere fans! 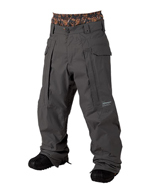 To celebrate 2009, we're offering 15% off all men's and women's SnowSphere T-shirts . Just enter the following discount code: NEWYEARSHIRTS at checkout. Hurry - offer ends on the 22 Jan 09. Buy a SnowSphere shirt now! There's 15% of all SnowSphere Ts & Hoodies from the 1st Nov - 20th Nov. Just enter this discount code at check in: EARLYSHOPPING. Visit the SnowSphere shop and see the full range now! 1. There is free shipping on all SnowSphere products until 30th of September. 2. 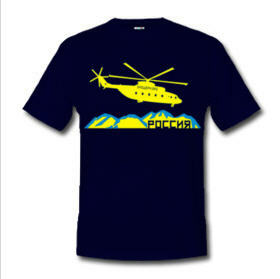 The Russian Chopper design is now available. SnowSphere gets some more Soviet stylin' with this Russian Helicopter design. Russia, which will host the 2014 Winter Olympics, is a snow lover's paradise, with huge mountain ranges and plenty of white stuff. The Russian Chopper design celebrates the aircraft which many heli-skiers and snowboarders take to reach the more remote mountain tops and volcanoes. The large Cyrillic lettering reads "Russia" and the small faux-cyrillic on the chopper reads "SnowSphere". This design is available in a variety of colours on both tees and hoodies. 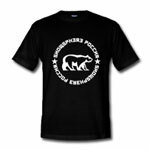 Get FREE SHIPPING on all SnowSphere Ts and Hoodies. If you've always wanted a design of a snowboarder sliding a Japanese Torii - now's your chance. Hurry - offer ends 17th July. Russia, Austria and South Korea will battle it out on Wednesday 4th July 2007 for a chance to host the prestigious 2014 Winter Olympics. The current thinking is that Pyeongchang in S. Korea is the favourite, followed by Sochi, Russia, and in last place Salzburg, Austria. It's April already and winter is over, but there's still snow in the mountains of the north, and as for the southern hemisphere, the season is still to come. 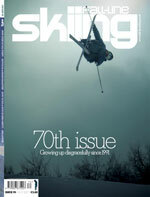 This means that the penultimate issue of Snowboard UK magazine is out, featuring an article about snowboarding in China, a board bag and back pack buyers' guide, and of course SnowSphere's monthly column "A Line Less Ordinary" - this month looking at snowboarding in Slovakia.